First introduced in 1954, the updated version of the American classic Dreyfuss 500 by Wild & Wolf will make a fashion statement in any home. 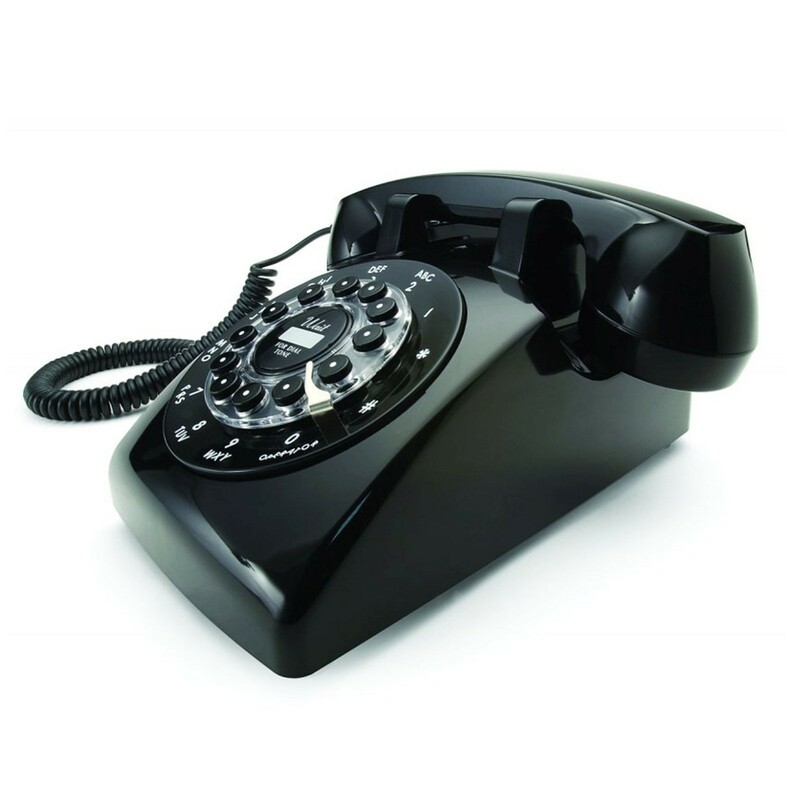 This contemporary classic desk phone is inspired by the fifties but brought up to date technologically. It employs the standard BT connection, as well as push button operation for present day convenience, yet it delivers the original bell sounding every time your phone rings, just like in the 20th Century based movies, and you get to answer your calls by lifting a genuine heavyweight handset. The push-button digital dialling mechanism has a ringer on/off, redial, and pulse/tone switch. Why should you buy this retro phone? Its classic design features a body with a balanced combination of graduated creases and subtle curves that are echoed in the separate handset; and the two joined by a classic looped cord that can easily stretch 6 or 7 feet away from your phone. The Dreyfuss 500 is a stylish old-looking phone for those seeking to add a stylish iconic look to their hallway or room. Great company to buy from, recieved my phone within 2 days, so problems :) Gave low value for money, as although this is the cheapest i have found it (and have searched alot) i feel the phone itself is made alot cheaper but not passed onto consumer. Sound - I need a special cable so not to get inrternet interference - but not a problem. Features gets a lowish score when compared to modern phones but then that is not the point with this phone. If you want 'features' look elsewhere. If you want style: look no further!